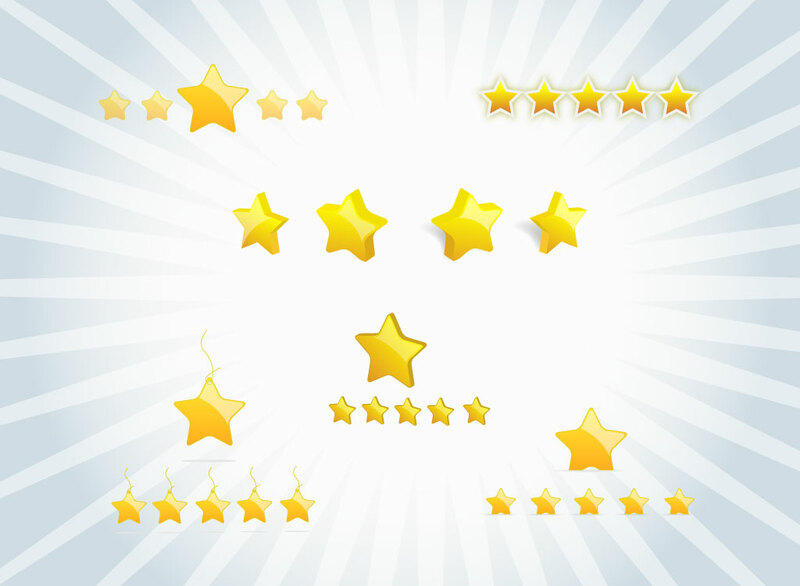 Free decorative vector graphic pack themed of gold stars, just liked you'd get on your schoolwork when you were a kid! Set up in rows of five and in six different styles, these graphics shine, glow and look 3D. Free download for your projects that require a quality rating system. Tags: Achievement, Glossy, High Rated, Luxury, Quality, Signs, Stars, Symbols.